Pensacola State College students in registered nursing (RN) and practical nursing (LPN) programs recently outscored their state counterparts on the National Council Licensure Examinations. On the first attempt, PSC practical nursing students achieved a 91.7 percent pass rate and registered nursing students achieved an 85.3 percent pass rate on the NCLEX in comparison to statewide pass rates of 68.1 percent and 76.7 percent respectively. 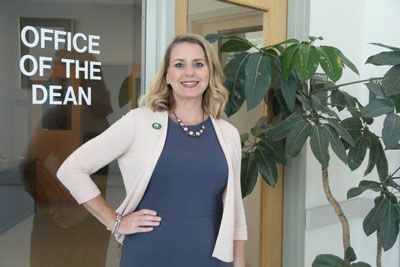 Dusti Sluder, Pensacola State’s Warrington campus dean, said the high pass rates speak to the strength of both nursing programs. “PSC nursing faculty are dedicated to student success in preparing students to pass these difficult exams which are necessary to be hired as a nurse,” Dr. Sluder said. “The Department of Economic Opportunity projects by the year 2023 there will be 4,768 job openings for RNs and 1,625 job openings for LPNs, just in Escambia and Santa Rosa counties. Pensacola State’s registered nursing and practical nursing programs each have earned national accreditation through the Accreditation Commission for Education in Nursing.